Gov. 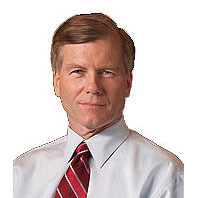 Bob McDonnell has signed a bill requiring the Virginia Board of Health to issue regulations requiring abortion clinics that perform five or more first trimester abortions a month to be categorized as hospitals. The ACLU of Virginia and other reproductive rights advocates opposed the bill when it was introduced in the General Assembly and have expressed concerns that the ensuing regulations will unconstitutionally restrict access to abortions. The bill, SB 924 is an example of what is commonly referred to as “targeted regulation of abortion providers,” or TRAP, legislation and is intended to make abortions too expensive for clinics to offer them, or if the costs are passed on to patients, too expensive for women who need them. The Education and Health Committee of the Virginia Senate has routinely voted down such legislation after it passed the House of Delegates. However, this year the TRAP provisions came in the form of a House floor amendment that then went directly to the Senate floor. Ultimately, the effect of the law will depend on the regulations promulgated by the Board of Health. The regulations, which will likely include upgrades to facilities and higher standards for staffing and equipment, may require most clinics to undergo unnecessary and costly renovations.